I checked the Bargain Bin Betty Coupon Database for any new coupons looks like there isn’t any new one’s just the same brush head coupon I found last month. So if you need replacement brush heads you can save $5 off. 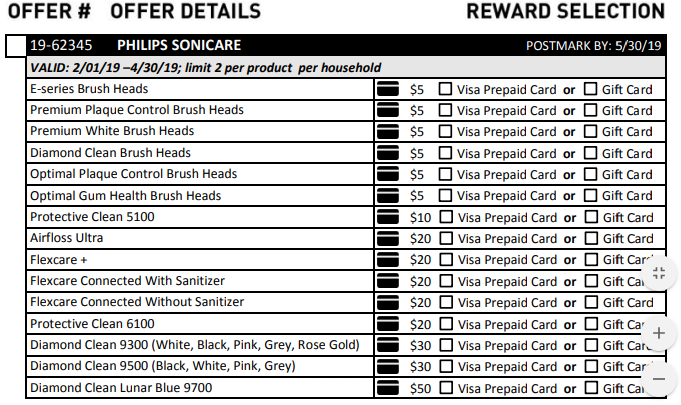 Head over to the database and search for ” Sonicare” to see any other coupons available. It get’s updated daily with new offers. 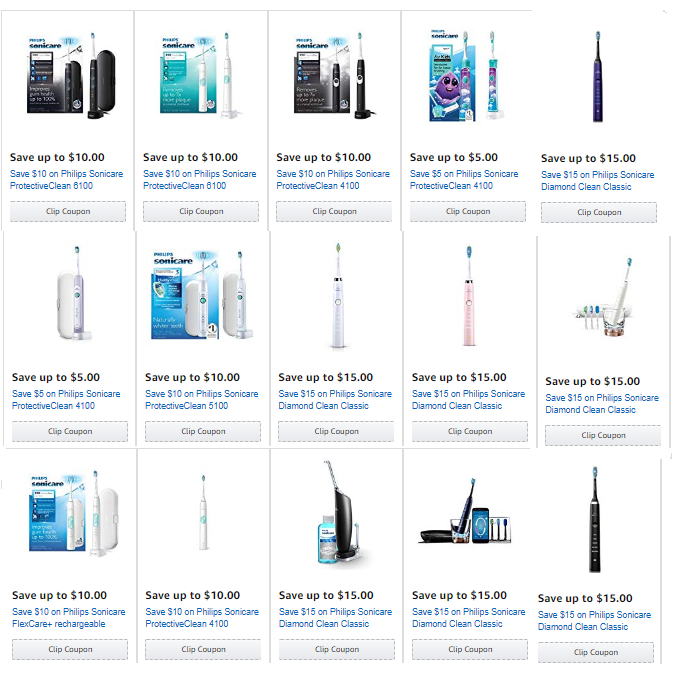 Next up I checked Amazon’s coupon page for any new coupons this week and to my surprise found 16 coupons for various models. This is great news as last month there were none available on Amazon. 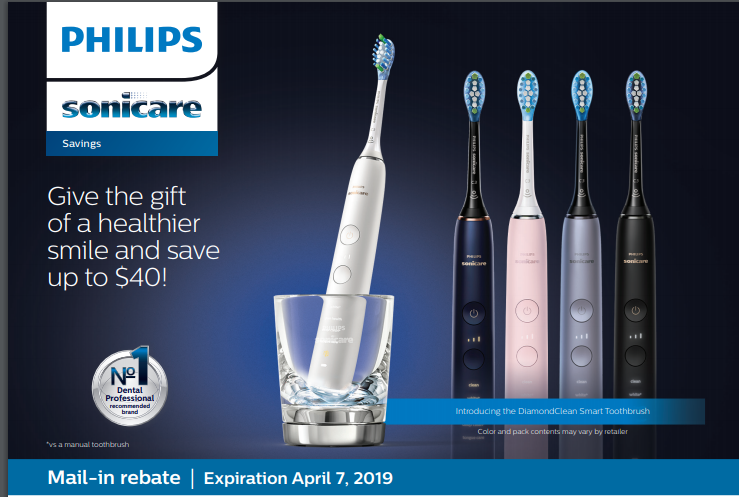 You can save between $10 – $15 off a new toothbrush this week. Next up I had a look for rebates for April. I found two rebates the first is thismanufactures rebate that will save you up to $40 off your purchase. This rebate expires on the 7th of May so you’ve only got a few days to take advantage of it. The second rebate is this Bed Bath & Beyond Rebate Form that will save you up to $50 off your purchase. You can use this rebate to get a prepaid visa gift card. Your purchase must be made before April 30th and you must postmark it by May 30th 2019. You can print the rebate off using the above link. That’s all the savings I could find so far for April, I’ll keep looking but in the meantime if you find other coupons or deals please share them with us Via our Facebook page so that I can add them to the list. This entry was posted in Philips Sonicare Coupons, Sonicare Rebate Forms.